Why Import Precipitated Alumina Trihydrate? Our message was loud and clear at the recent International Wire & Cable Symposium (IWCS). That’s the question we’re posing if you’re currently importing your precipitated Alumina Trihydrate. 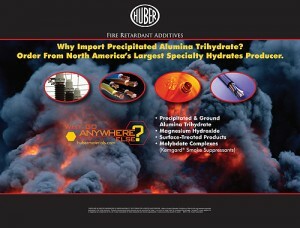 Did you know Huber is North America’s largest specialty hydrates producer? We’re pleased to answer that question, yes we are! Let’s us go to work for you and alleviate the hassles you have of importing your precipitated Alumina Trihydrate. Get more information now! We are in San Antonio this week at the National Plasterers Council (NPC) Annual Conference discussing our DuraWhite® marble aggregate for white pool plaster applications. We are enjoying visiting with attendees, and Huber is proud to be an associate member of the National Plasterers Council. DuraWhite is a carefully sized marble that provides a pristine, smooth and durable bright white pool finish when mixed with white cement and water. The consistency of DuraWhite means it mixes and applies easily and smoothly and gives great touch and feel when troweled. The marble aggregate’s physical makeup produces a durable, non-abrasive product that gives your customers a beautiful pristine, light blue appearance with a finish that’s comfortable to the touch with no grittiness. 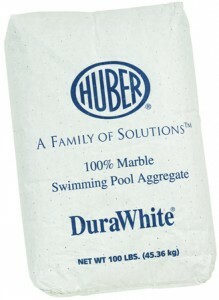 For more information, visit this link on our website: www.hubermaterials.com/durawhite.